The game of golf has become more than just a past time as it is now one of the most popular sports in the world, together with tennis, basketball, and football. Throughout the years, golf has turned into an international attraction, driving millions of people to idolize its best players such as Tiger Woods, Jordan Speith, and Sergio Garcia to name a few. The sport can now be found in almost all areas of the world, having major league tournaments just like the yearly US PGA Tour, European Tour, and Race to Dubai. It’s because of these reasons that the sport is not just anymore a viewing experiencing for its followers, but it also became as an opportunity for them to earn money through betting. Higher-caliber teams have a higher chance of winning in a basketball game. However, that’s not the case with golf because all golfers have the chance to win a game even if they’re not a “high-caliber” golfer. This is especially true now that it’s already the post-Tiger Woods era of golf, having him as the only exemption to this rule as he dominated the sport for more than a decade. But now that age is taking a toll on him, other professional golfers such as the American, Dustin Johnson, and Japanese, Hideki Matsuyama are trying to step up the ladder and following Woods’ footsteps. With this, it’s safe to bet on the current favorites of the game even if they’re not really “dominating” just yet. 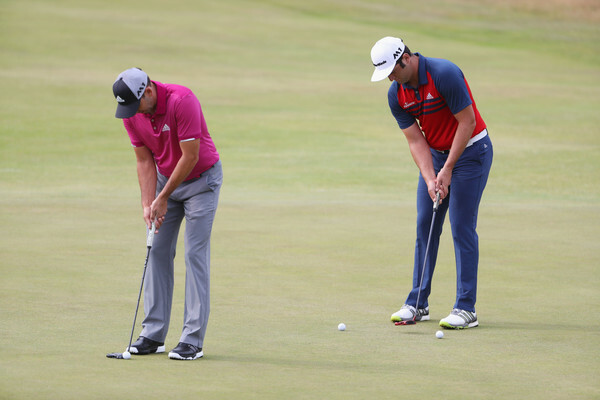 Another important tip to remember is that pro golfers aren't always in the top spot. They are open to sudden changes. This makes the world of golf betting very unpredictable. It’s with this that you should never bet on the same golfer over the course of many games. The favorites won’t always be favorites because if they make a single error in their current game, they can easily be demoted as the underdog. They might be a 201.0 outsider now, but tomorrow, they can be a 34.0 shot if they just make a single good finish. On the other hand, missing a cut can easily demote then to becoming a 91.0. That’s how unpredictable the game of golf is. When it comes to golf betting odds, you’ll see numbers just like a 36.0 beside the player's name. But what does this mean? Well, the number you see is the likelihood of a player winning the forthcoming game. The lower the number is, the higher the chances of the player winning the game. The bookmakers are the ones that decide the betting odds they’re going to place on a player, based on the player’s current statistics and performance. How Do Golf Betting Odds Work? Betting odds work by multiplying the amount of your bet with the odds, and then subtracting the answer again with the odds. So if you're going to bet C$20 on a player that has 31.0 odds for an upcoming game and if that player wins, you're going to get C$589. This is the general rule in computing for the odds percentage. However, there are different variations on this depending on the bookmaker, the place where you’re betting, and the type of tournament. But that's how it works. However, you need to remember that before placing a bet, it’s recommended that you first know more about a handful of Canadian betting tips so that you’ll know what to expect and do when betting. This is the most popular golf betting game you can try, aside from it as being the simplest. Simply put it as betting on a player to win the entire tournament, and if that player wins, you get your money. It’s as simple as that. With this, it makes perfect sense for you to bet on the favorite player. Just be sure to be always up-to-date because that favorite can easily slide back to being an underdog. As of now, Rory McIlroy has an 11/2 outright betting while Dustin Johnson has 7/1, making them the best choices as potential tournament winners in the ongoing 2017 US PGA Tour. This makes this game the safest way to bet because the odds get accumulated and averaged out throughout the entire tournament. But to make it even safer for your money, it's also best if have other betting games such as the First Round Leader, Golf Match, and Top Nationality Betting. So in case, your player loses the tournament, you're still most likely to win the other games you've bet on.